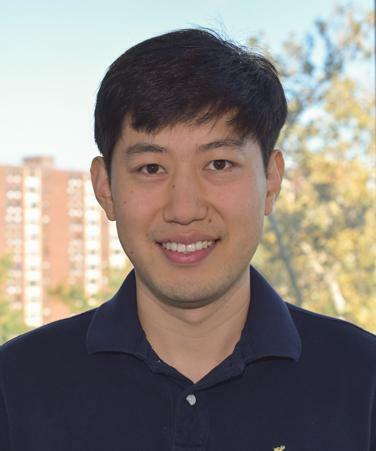 NEW YORK–Xi Chen, Assistant Professor of Chemical Engineering with the City University of New York's Advanced Science Research Center (CUNY ASRC) and City College of New York, has been named a 2016 Blavatnik Regional Award Finalist in Physical Sciences and Engineering. He will accept the award–consisting of $10,000 in unrestricted funds and a medal–at the New York Academy of Sciences Annual Gala on Monday, November 7. Chen–a faculty member with the CUNY ASRC's Nanoscience Initiative–is being recognized for his research of radically new approaches to energy harvesting from evaporation, which has led to numerous publications in leading scientific and popular journals, including Nature Nanotechnology and Nature Communications and has been featured in mainstream media, such as The New York Times, The Wall Street Journal and many others. The regional award–granted to postdoctoral-level scientists conducting research at institution in New York, New Jersey and Connecticut–was founded by business entrepreneur Len Blavatnik, in partnership with the New York Academy of Sciences, the Blavatnik Awards for Young Scientists seek to promote early-career researchers engaged in innovative, high-impact research. Each year the regional awards recognize one winner and two finalists in each of the categories of Life Science, Physical Sciences & Engineering and Chemistry.